Jennifer “JD” Devereaux Segers’s perspective and competitive spirit provide a solid representation for her clients, who have come to appreciate her unwavering dedication in the throes of complex litigation. JD grew up watching her mother build a successful law practice in Montgomery, Alabama, and followed in her footsteps by attending law school after college. 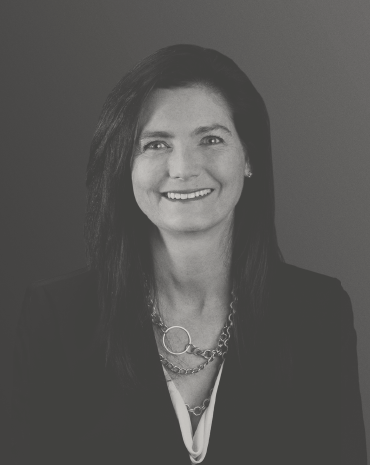 JD began her career as a clerk at Huie before joining the firm in 1995. Since then, JD has built a successful practice focusing on medical malpractice, dental malpractice, insurance litigation, long term care and nursing home liability, pharmaceutical liability, professional liability and professional license defense. She also frequently lectures on medical malpractice and related topics for private insurance firms. Outside of managing her busy law practice, JD is very active in the community. For six years, she served on the Board of Trustees for the Alabama Chapter of the Leukemia & Lymphoma Society, as both Secretary and Vice President. In addition, she is a member of St. Luke’s Episcopal Church, where she continues to be involved and has also served as Clerk and a member of the Vestry. She is active in the arts and the community through membership in organizations such as the Junior Women’s Committee of 100 to support the Emmet O’Neal Library, the Ballet Guild to support the Alabama Ballet and the Symphony 30 to support the Alabama Symphony Orchestra. When she’s not working or serving her community, JD enjoys being on the lake in Eufaula, Alabama, watching Alabama football and spending quality time with her family and friends. JD earned her BA from Rhodes College (Memphis, TN; 1992) and her JD from The University of Alabama School of Law (Tuscaloosa, AL; 1995).